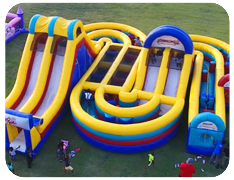 Inflatable Event & Party Rentals | TexasJumps.com Mansfield TX. 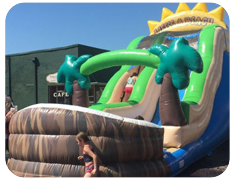 Texas Jumps is a bounce house rental and slide combo provider for Mansfield, Arlington and surrounding areas. We have themed and plain bounce houses. 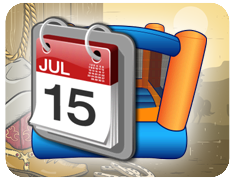 Our inventory includes the best bounce slide combos in the area, and a great selection of toddler bouncers for the younger children. 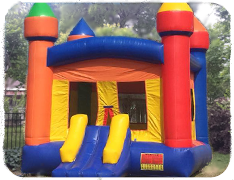 We have party rentals as simple as a plain castle and beautiful Disney Princess and Mickey Mouse moonwalks. We keep our inventory up to date by replacing jumpers that get older as soon as it is warranted. 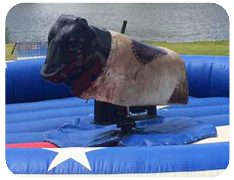 Texas Jumps can provide the appropriate rental for a backyard birthday party or an event with thousands in attendance. 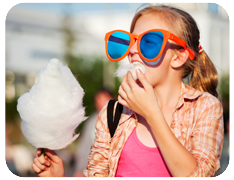 We have our party equipment inspected annually by a certified Texas inspector. We carry general liability through Cossio Insurance. If you or your organization needs a copy of our declaration page prior to your, party give us a call. We can also email a copy of our state AR100 inspection sticker. 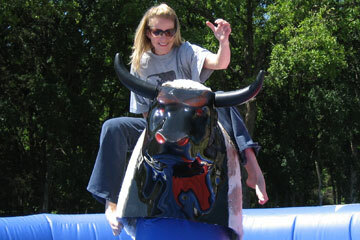 The mechanical bull is an awesome ride for all ages. Our trained operator will give each of your participants an appropriate ride for all age and skill levels. Our clean, well-maintained bull will impress your guests. 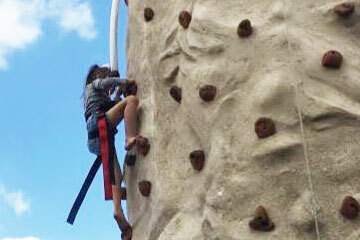 The Rock Climbing Wall is 24ft tall and has three climbing lanes. It comes with 6 harnesses and our trained operators will keep it safe for all participants. Great for young and experienced climbers alike. 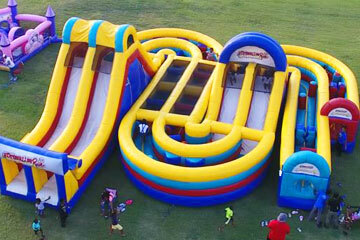 Texas Jumps has a variety of inflatable obstacle courses for any age range. They are all big, vibrant, and fun for all ages. 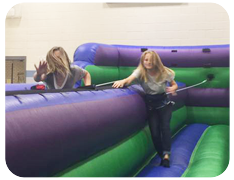 Our Adrenaline Rush is one of the largest obstacle courses available. See them all here! 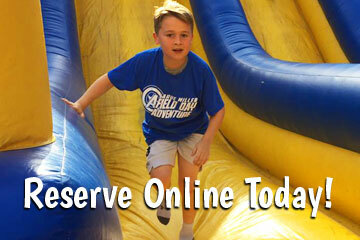 Making your party and event reservations at TexasJumps.com is fast and easy with our new online reservations system. Just click the link below and enter the date and times of your event. Then as you browse through the website you will be presented with only those items available on your date. You can also just explore all the categories and as you see items that are perfect for your party, just click the "Add to Cart" button on every product page, and build your party that way. That's it! It's easy as one, two, three! Let's get your party started now! 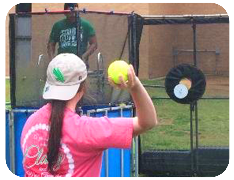 We deliver private party rentals to the following cities: Mansfield, Arlington, Fort Worth, Cedar Hill, Kennedale, Rendon, Grand Prairie, Midlothian, Burleson, Crowley, Haltom City, Keller, Richland Hills, Everman, North Richland Hills, Bedford, Euless, Hurst, Pantego, Forest Hill. 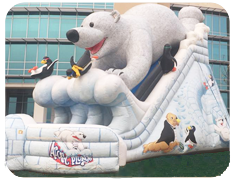 We provide equipment for events to the Dallas, Fort Worth area and through out North Texas.